N. Fulcher Coachtrimmer was established in 1977 by Nick Fulcher. Nick built this successful company having followed an interesting and varied career path. For the first six years of Nick's working life, he was a bespoke tailor at Harry Darby's, one of the best tailors in Norfolk. Nick's career in Coachtrimming began when he joined Lotus Cars at Hethel, in their production trim department. Nick was sent to Jaguar cars to work with John Pete in their interior trim department, to learn more about trimming with hide. He then spent a few days at Connolly's to see how leather was taken from its raw state to a finished tanned hide and to learn how hide can and should be used. 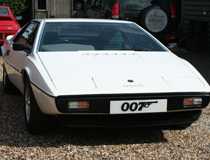 Nick was soon running the Engineering Trim Design and Development Department, working on interiors from concept to design and development, as well as one-off special projects such as working at Pinewood Studios with a special effects team on the Lotus Esprit used in the Bond film, ‘The Spy Who Loved Me'. After encountering trim production problems with both the Éclat and Elite 504, Nick went to Ital Design in Turin to work alongside Giorgetto Giugiaro when the Esprit was styled, so that previous production problems could be eliminated. 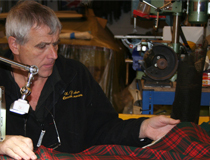 In 1977, Nick started working on his own and from the day the business was registered on 5th October, many different sorts of work have been undertaken over the years. 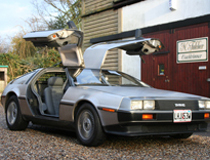 Nick worked on the DeLorean project and on the Duchatelet Mercedes cars in Belgium culminating in working solidly for three days and two nights, to get three cars ready for the Geneva Motor Show. This led to 18 months of regular travel to Belgium to train staff there. Nick was also approached to reupholster cockpit seats for pilots, co-pilots and navigators in British Airways 747's and Tristars and also worked on private jets, WW11 aircraft and for Ford at their Boreham Wood competition department, on the prototype RS200. 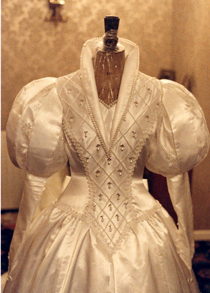 Nick also undertook many special projects including a wedding dress. He had previously made a mohair hood for an E Type Jaguar several years previously and the car's owner, who had retired from running her own wedding dress business, was trying desperately to locate someone who could make a one-off dress for the daughter of a previous customer. 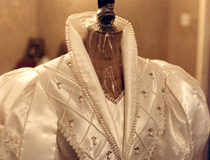 Nick was subsequently commissioned to produce an Elizabethan style gown in fine lace and satin with a pearled bodice, diamante, dropped pearls and a 12ft train, which the bride wore to marry in the church where Shakespeare was buried, in Stratford-upon-Avon, a very apt setting. Yet another unusual job involved trimming a whole set of treasure chests which were then used in a display at Disneyland Paris! Also, work was carried out for a local company, who specialise in one-off pieces of furniture, to trim a large cinema table in Connolly hide and then to re-trim it in calf skin imported from the USA , when the customer decided that he didn't like his original colour choice. We still undertake bespoke furniture trimming jobs but this is as far as we take our domestic upholstery services; we aren't sofa specialists and will never pretend to be. The workshop is testament to Nick's passion for motor racing which stemmed from both working at Lotus Cars and getting involved with Team Lotus. He used to trim the seats and some of the steering wheels for F1 drivers and alter racing overalls and helmets to suit drivers' requirements, right from the days of Graham Hill and Jochen Rindt through to Johnny Herbert, Mika Hakkinen and Alessandro Zanardi. In 1997, Nick's son Steve joined the company and having completed his apprenticeship, works to the same high standard demanded by his father Nick. Nick and Steve worked together for 15 years taking the company from strength to strength, demonstrating skill and dedication second to none. Sadly in April 2012, Nick lost a brave fight against a tumour of the brain. Nick was highly skilled and enthusiastic and rightly earned the company accolade ‘Simply The Best', attributes which he has passed to his son Steve, who picks up the reins to take the now Fulcher Coachtrimmers Ltd confidently forward.